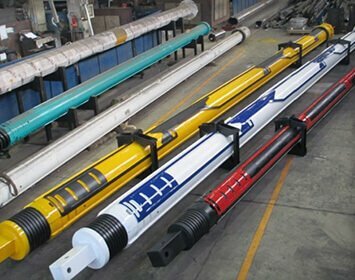 Our diverse line of pile driving and drilling equipment has been carefully assembled from the most reputable manufacturers in the world in order to offer the best products available. 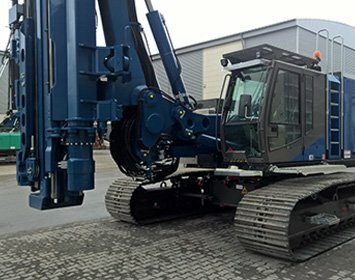 Having manufactured over 1,100 systems for use on construction projects around the world, the German based ABI has earned a reputation for developing advanced and environmentally-friendly solutions for shoring and subterranean construction work while its innovative Mobilram revolutionized the whole field of inner-city trench construction. 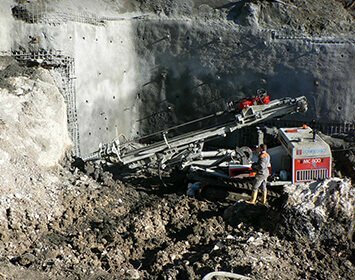 The Boart Longyear Group is a world leading manufacturer and supplier of special products or systems in stone and soil industry, for raw materials extraction, for water, energy and environmental protection, for construction and natural stone industry as well as a partner to a numver of other industrial applications. In 1986, driven by a strong passion and by the determination to transform ideas into tangible reality, Comacchio took on the challenge that would bring them to hold a prominent position, worldwide, in the drilling market. 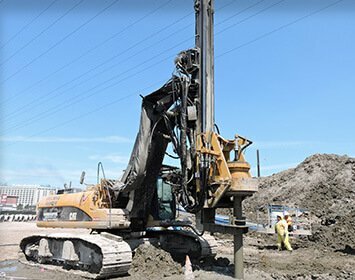 Dawson's unique combination of contracting experience blended with mechanical engineering originality and know-how has resulted in a range of truly innovative, highly productive and inherently safe pile driving accessories. Since introducing the combustion driver pile hammer in the late 1930's, the Delmag name has become synonymous with high performance and ruggedly reliable equipment. 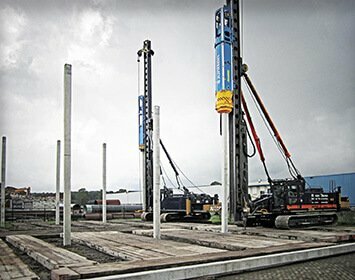 Now the world-leading manufacturer of diesel pile hammers, Delmag has also developed a reputation for its powerful line of hydraulic drilling rigs. 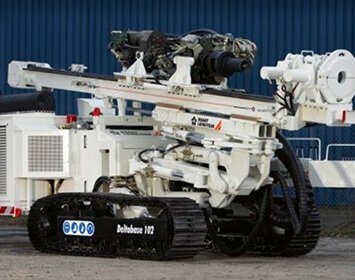 Founded in 1995, Eurodrill offers drilling systems not only for all kinds of crawler drill rigs but also for custom made applications. 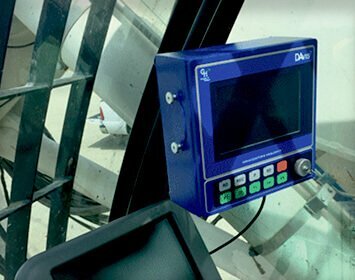 Hammer & Steel sells and leases Gamperl & Hatlapa monitoring equipment for improving quality assurance in the manufacture of sheet piling, CFA piles, grouting, displacement and diesel and hydraulic hammers. 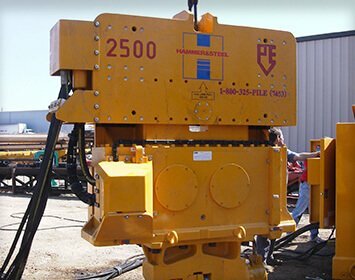 The Hammer & Steel brand of vibratory pile driver/extractor systems is based on our management team's 100+ years of pile driving experience. 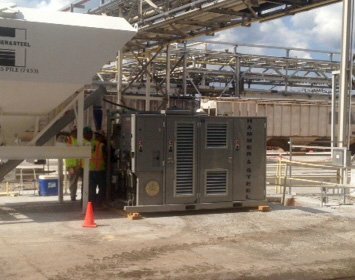 Manufactured to our specifications, these systems work in a wide variety of applications and come in sizes to handle almost any job. Interoc was acquired by the ABI Group in 2009 as an excellent addition to their high quality piling and drilling equipment product lines. 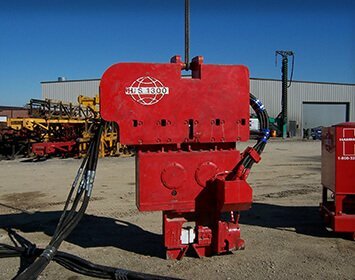 The Interoc products include Anchor Drilling Rigs, Excavator Add-On Drilling Attachments, Hydraulic Rotary Drives, and Hydraulic Drifters. 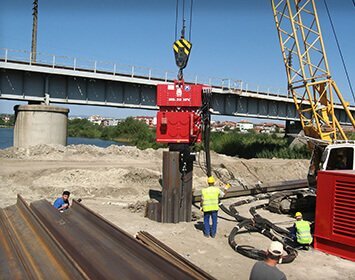 Junttan's product range comprises a variety of pile driving rigs, pile drilling rigs, and deep stabilization rigs, as well as hydraulic impact hammers, hydraulic rotary heads and hydraulic power packs. 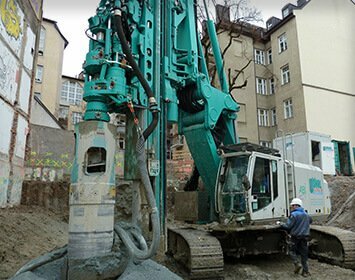 The Müller H-Series and HFV-Series vibratory hammer equipment are extremely reliable and durable and can be used for a wide range of applications. 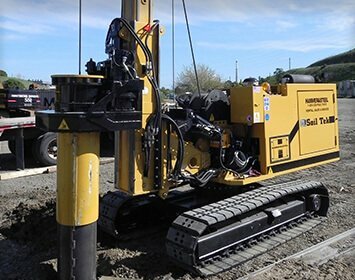 Hammer & Steel, Inc. sells and leases and extensive line of PTC vibratory hammers for piling equipment. A new face in the U.S. construction equipment market, PVE introduced their line of high horsepower, vibratory pile driver/extractor systems to the US in 1999 and quickly earned the reputation that they have long enjoyed around the world for building machines that get the job done reliably even in the toughest driving conditions. STS Scheltzke is a specialist manufacturer of equipment for civil engineering in the areas of grout mixing/pumping. 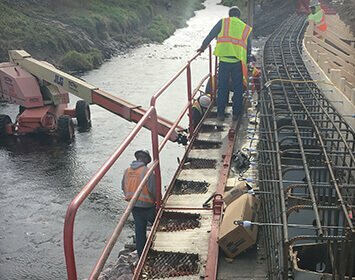 Common applications for this equipment include soil nails, tie-backs, soil mixing, jet grouting, grout compaction, vertical tie downs and injection grouting. 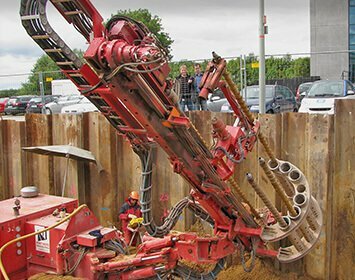 Based in Italy, SIP&T is a leading supplier specializing in the construction of kelly bars, drilling tools and accessories that are designed to be used in conjunction with drilling and piling rigs across many suppliers. 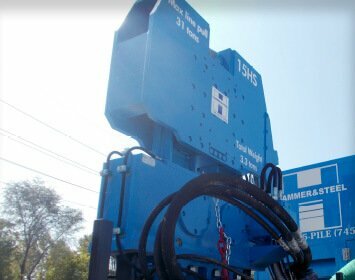 Hammer & Steel sells and leases Soiltek S60 hydraulic piling rig equipment in the drilling and small diameter piling fields, including restricted access work.